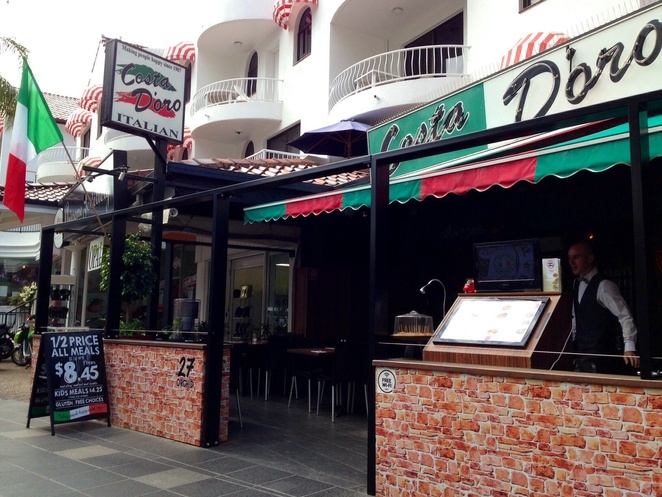 If you enjoy great quality Italian food and love a good bargain, then I highly recommend heading to Costa D'oro in Surfers Paradise for lunch. Not only is the food amazing, but between 12 and 4 pm everyday, the entire menu is half price - so you can get a really tasty main meal from around $8.45 and kids meals are just $4.25 with free icecream. 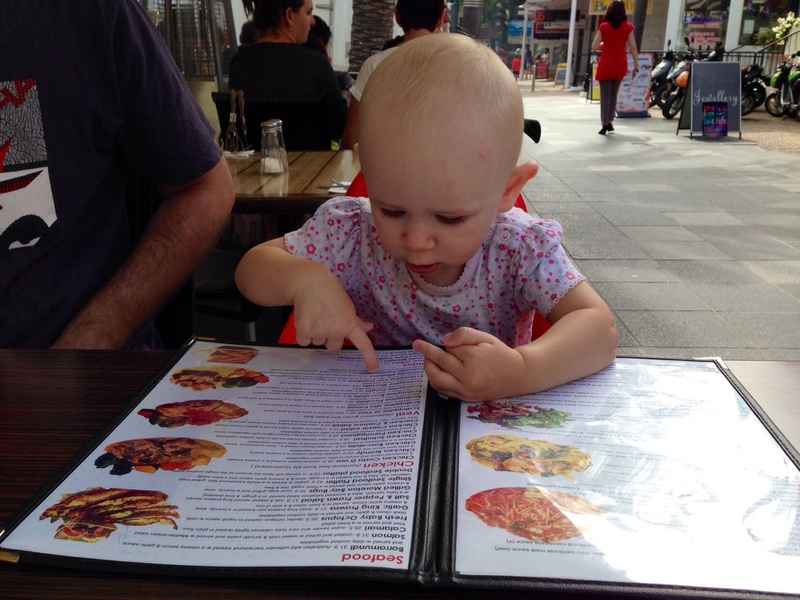 Everything on the menu - apart from seafood and steaks - are half price for both entree and main sizes. 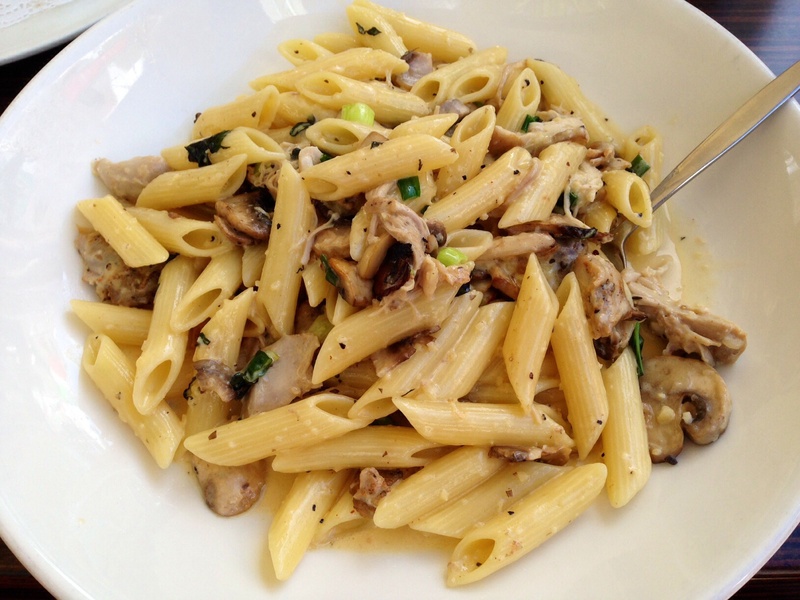 So all pasta, veal, pizza, chicken, salads and more are all 50% off. 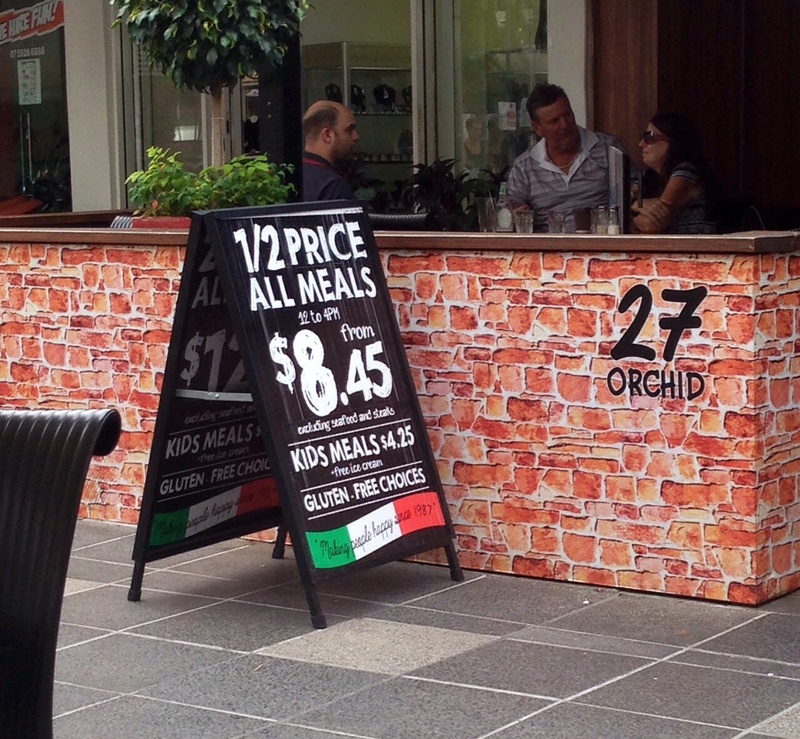 That's a big saving when you are on a budget, but still want to enjoy a meal out. 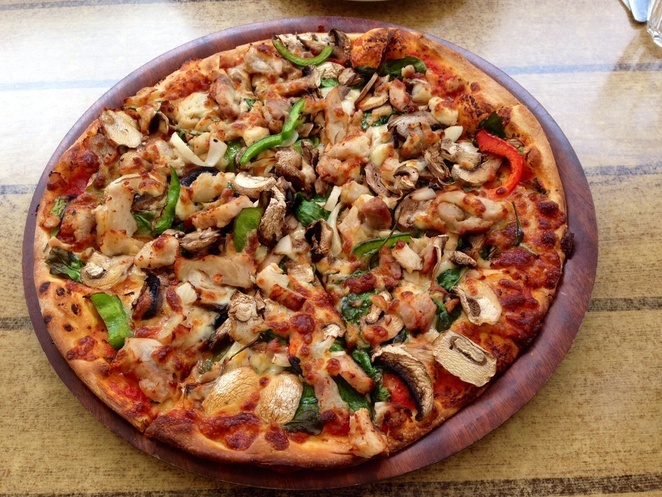 The menu has loads of options and the salads, pizza and pasta dishes come in small or large sizes. I often find that Italian portion sizes are usually pretty big, which is possibly why it's my favourite cuisine. Here is no exception - an entree size pasta is more than enough for lunch, especially of you combine with salad or breads. 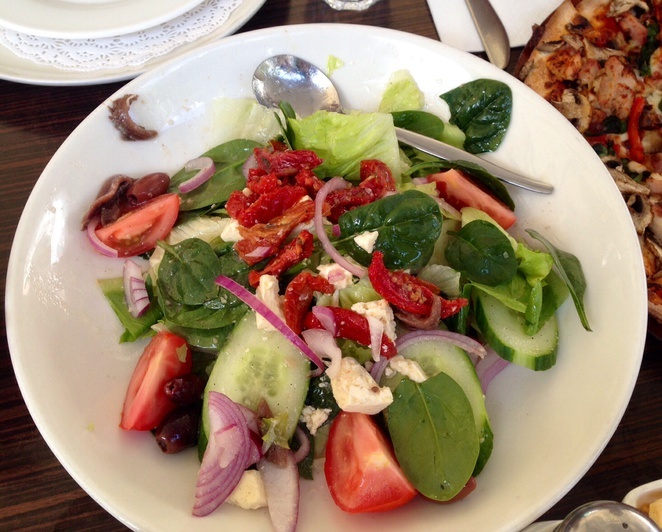 In fact if there is a group of you, you could get a number of small and entree size dishes and create your own tapas style lunch. You can see the full menu here. The quality of the food is exceptional - I think we have visited more than 10 times in the past 18 months and each time the food is spot on. You just know also that each dish is prepared fresh using good quality ingredient, and this certainly comes through in the flavours. 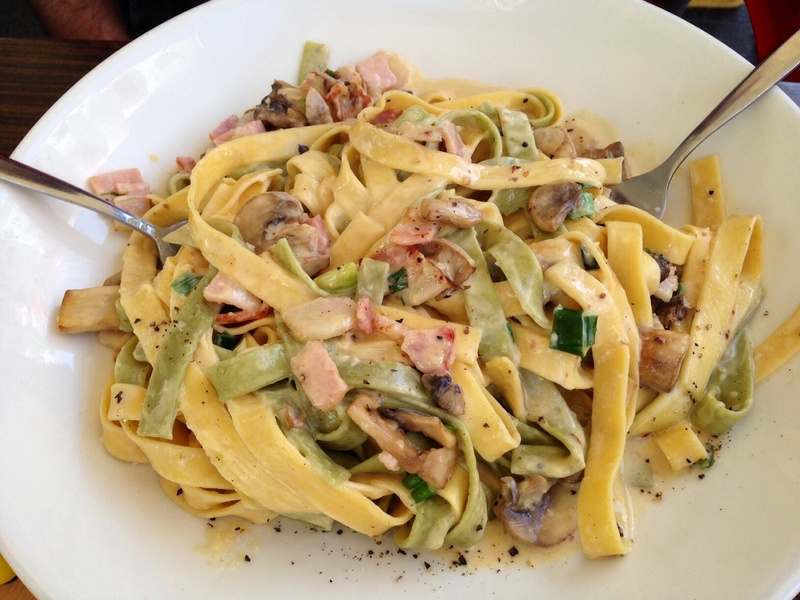 Sometimes, especially with pizza and pasta, individual flavours can be lost and it all kind of blends in together - here through you can still clearly see and pick out ingredients which makes each mouthful really enjoyable. If you want to save even more money, then I would suggest sticking to the free water for the drinks. Often when there is such a god deal like this, places make back a little of the money on drinks, and before you know it, even just soft drinks for a table can add an extra $20. Staff are very friendly and attentive and always welcome us with a smile, and they seem to cope well when busy and they have large groups. Food always comes out fairly promptly and all together too - it's an annoyance of mine when they serve only one or two people a dish then others are left waiting. 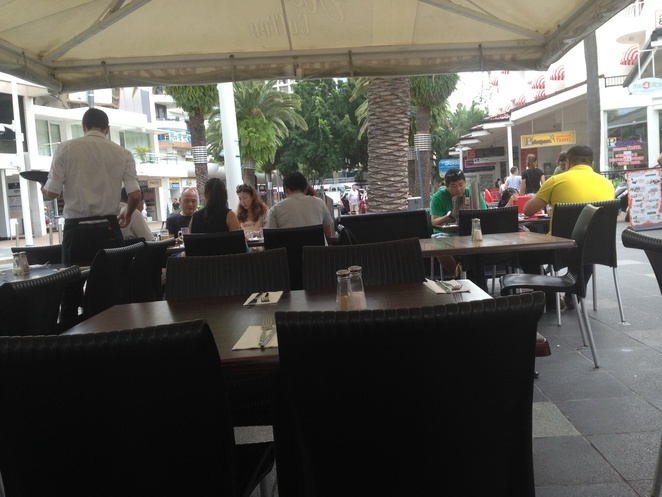 Located on Orchid Avenue in Surfers Paradise - the end away from Cavill Mall - it is next to a similar place that offers a similar deal but it just isn't as good for either quality or service. It is open seven days a week from midday to 10pm. I honestly believe this to be one of the best cheap lunches on the Gold Coast - and cheap only refers to the cost, everything else is high quality. I haven't been for dinner, so I cannot comment on that but I kinda feel why would I pay full price when lunch is so cheap. Also Orchid Avenue takes on a different vibe of the evening - they do a takeaway menu however so I may try that soon. They have both indoor and outdoor seating, and the outdoor seating is covered so you avoid the sun or rain depending on what is happening that day. I do prefer sitting inside as I think it can add to the experience of a meal, otherwise you are simply sat on a pavement. Highly recommended and certainly worth a visit. See their website here.